Asking for a pay raise is a common thought on nearly every employee’s mind. No matter how much you make, you will always want more. So, how does one approach the matter without being all stressed out? If you are the right kind of employee that has been adding value and contributing to the company, your chances will be higher. If you doubt your own contribution, the process below should allow you a chance to self evaluate your own contributions and gauge if you should be asking for a pay raise. There are quite a bit of information you need to prepare and research before you make the final approach to your boss. 1. What’s The Market Rate? To begin, you need to know the market rate for someone in your position. Research with professional organizations - they sometimes publish salary ranges for each designation and rank. Headhunters are good sources of information on salary ranges. Some even publish salary rates. Another source of such information are friends in the industry. Once you know the market rate for someone in your position, you will have a clearer case if you have a case. 2. How Do You Fit In? So, how do you fit in with the salary range you have found out? Make sure that the pay range reflects the years of experience, skills and size of company you are currently working. You want to be able to compare like for like as much as possible. Where do you fit in this range? 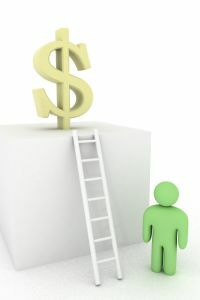 Are you at the bottom to middle tier but based on your objective opinion you deserve to be on a higher tier within this salary range? Now that you know the market rate and how you fare in comparison to the industry, timing will be very important for asking for a pay raise. 3. How Is The Company Doing? How is your company doing? Needless to say if your company is not doing too well financially, your chances are near zero if you were to asking for a pay raise. On the other hand, if your company has just recently secured a huge contract and your role is going to be increasingly important then you may be in for a good case. Besides the company’s financial situation, consider other factors like staff morale, office politics especially if there are camps opposing each other and how you fit in. Literally, prepare your pay raise script. What are you going to say? You may not read straight from your ‘script’ or case. But have it written as it helps you clarify your thoughts. When you see it in words you can see your arguments better. No matter how you prepare your case in your head, you are likely to forget. Especially, if your boss is good at handling people asking for a pay raise, he will have a set of statements he uses to diffuse people from their request. Think about all your contribution in the past year. What have you done that is significant and especially measurable? What accomplishments, additional initiatives you took, contributions in the form of suggestions that has been implemented that worked? What I found most effective is if you can peg this argument to the key performance indicators (KPI) you have set during your yearly evaluation. That is the best measure you have more than delivered. 5. Action Standard – What will you do? Having prepared your case, you need to be prepared for all eventualities. What is your goal in this discussion? Write this in your preparation above also. In a case, your boss agrees to a lesser figure, what will you do? In a case, your boss gives you more benefits in lieu of salary? Or in the worst case scenario, if your boss turns you down, what would you do? Take into consideration company policies when it comes to salary review. Most companies have a budget set aside for this every year and a set period when this is given even though exceptions are made for special cases. I recommend face to face meetings, no matter how tough it seems to be. If you are asking for a pay raise and it is important enough for you then be ready to face your boss. Be professional about the matter. Ask your boss for an appointment, but do not mention it is for a pay raise. Just say that it is for a personal matter and you need to discuss with him. No matter how close you are with your boss, prepare for objections. Objections can come in very subtle manners. Remember, bosses are used to people asking for pay raise. Know to handle the objections when they come up. Run through these with a friend. What are some of the things your boss can say to turn you down? Avoid saying why you need the money. Pay raises are given when you do great work. Not when you need money for such and such. Bosses do not evaluate salary increases like that. One of my bosses once told me, you are paid to do good work; you deserve a raise if you do excellent work. How true. Be mature and professional in your meeting. In all likelihood, you still want to work in the company and you just want an increase in salary. Do so, professionally and be mature about it. Perhaps it is not the right time for your boss to consider it. There maybe things you have missed out that you do not know. Your boss may explain to you then, listen carefully and be objective. Don’t threaten to leave even if that is the plan. You can still resign with dignity later if you have a good meeting. You do not want your company to perceive you as being selfish and not putting your 100% at work just because you did not get the raise prior to you leaving. Asking for a pay raise need not be daunting. Do your research and prepare your case and have a professional meeting. You may just get what you ask. 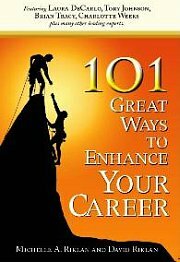 For more recommended readings on asking for a pay raise, click here.